The first flavor to hit the taste buds are a light sweet and salty flavor with a fair amount of heat. I can also pick up light bits of habanero chile pepper flavor. The chewing brings in a garlic and onion seasoning along with stronger levels of habanero and ghost pepper chiles. The heat builds up more. For being adevertised as "Ghost Pepper", it definitely holds up. I get a strong flavor of ghost pepper chile in the chewing, along with habanero. The heat is quite hot, ranking as "Hot" (level 5 out of 5) on my personal heat scale. 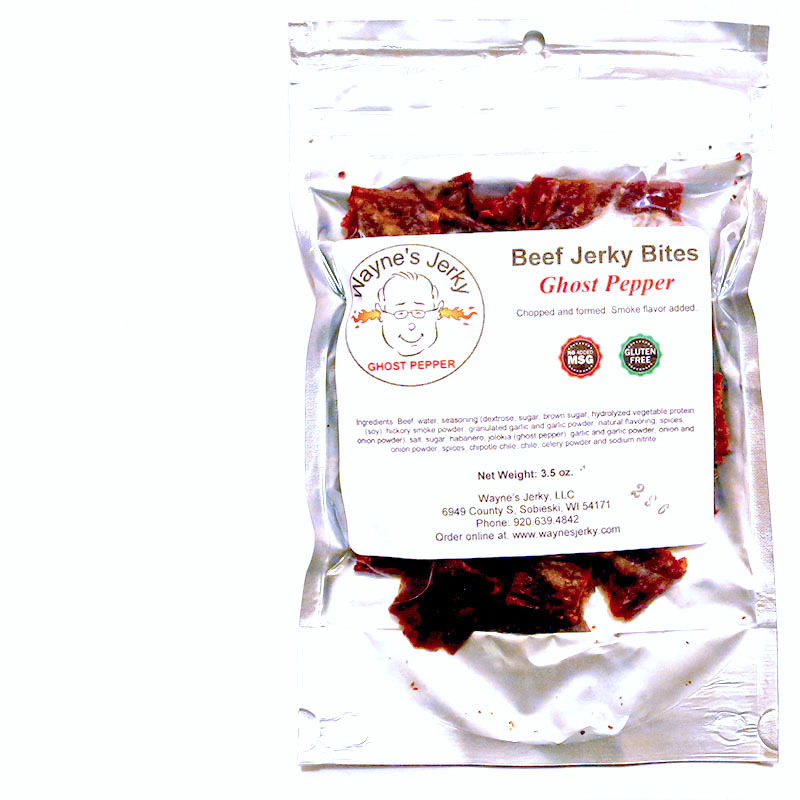 Otherwise, the flavors that primarily define this jerky starts with the unique taste of ghost pepper and habanero chiles, but bolstered with sweetness of sugar, and the garlic & onion seasonings. It's very much comparable to the Mild, Medium, Hot, and Extra Hot jerky varieties offered by Wayne's, but just with the pungent, fruity profile of chiles. I can pick up a little bit of natural meat flavors, but it tastes more like the cured meat that you get from a Hickory Farms summer sausage. 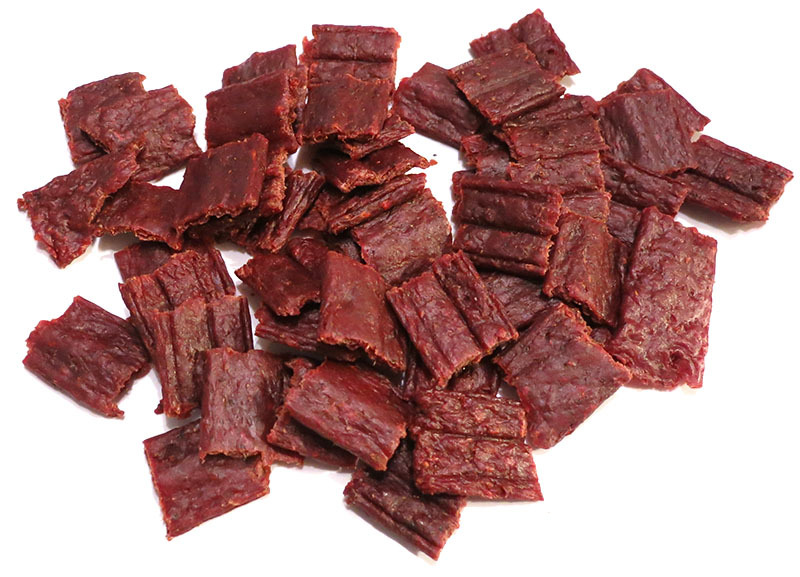 The meat consistency is classic chopped & formed jerky. It has that initial rubbery chewing resistance, and when it's chewed down to a soft mass, it feels mostly crumbly, not much at all like meat. But otherwise, I don't encounter any stringy or crunchy bits of connective tissue, it feels like it's made from all muscle. Verdict: This Ghost Pepper beef jerky from Wayne's definitely dishes out a lot of ghost pepper flavor and heat. It has perhaps more ghost pepper flavor than I've encountered with other brands of ghost pepper jerky. It's not the hottest ghost pepper jerky brand I've tried, but it's still pretty hot. 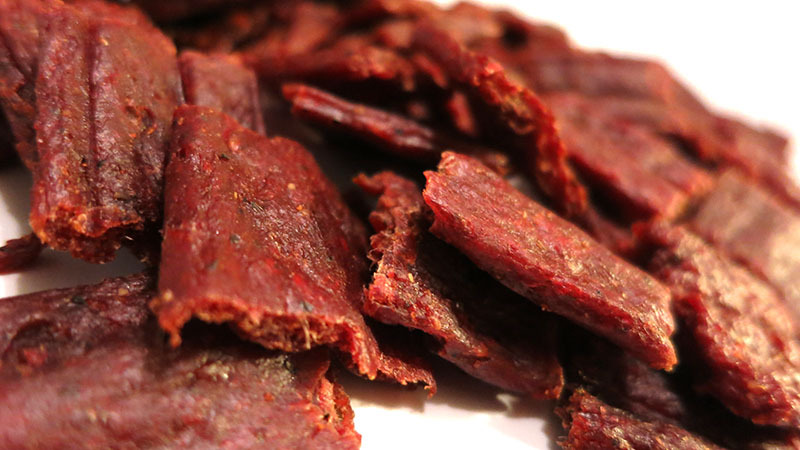 It's also a tasty jerky and generates a good deal of snackability through it's base seasonings. But I was really impressed with the strong ghost pepper flavor, and felt it justified the higher rating.